Implementing projects is an integral part of every business of any size. Modern studies show that 50% of the companies’ workforce deals with projects. The modern and competitive business environment demands the best possible project efficiency which requires a professional approach to managing projects. This course addresses the basic principles in project management where at the same time participants learn through a case study how to plan and monitor a project by Mastering Microsoft Project. 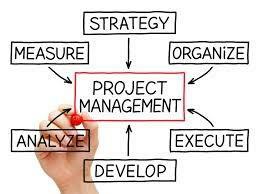 Therefore, during this practical approach participants learn in depth how to use MS Project . Your self—evaluation as a Project Manager!